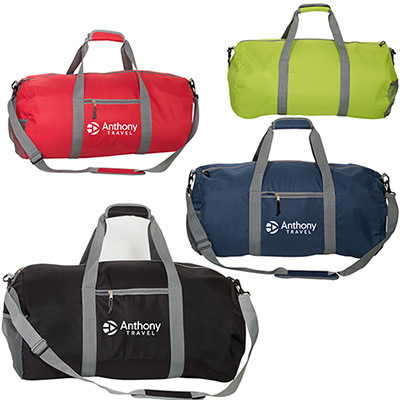 Personalized Center Court Duffel from Promo Direct. 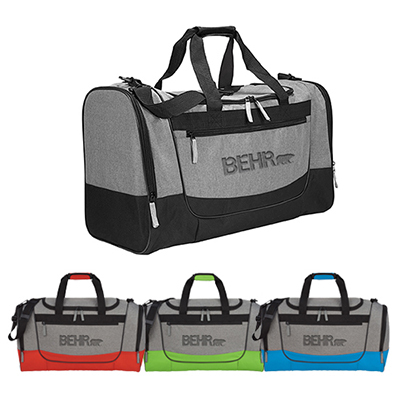 "Presenting the “Promotional Center Court Duffel” for all your customers and clients! 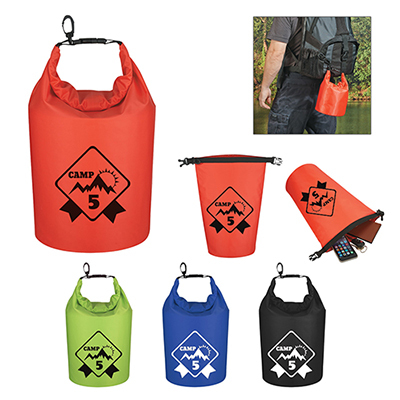 All you need to do is purchase these custom imprinted duffel bags to maximize your brand recall in their minds. 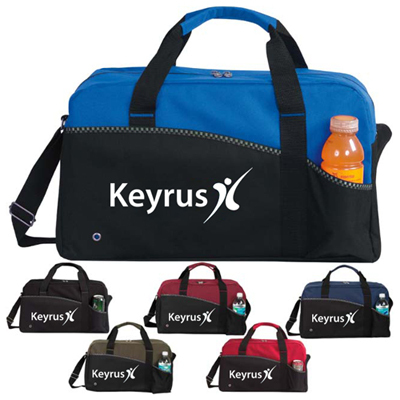 This “Promotional Center Court Duffel” can be personalized by imprinting your logo on it. So what are you waiting for? 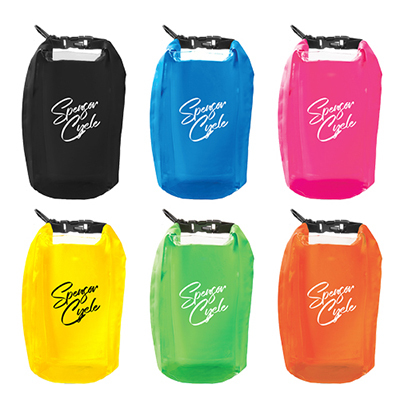 Order a personalized center court duffel for everyone today! " "They look trendy and are reasonably priced. " "They are spacious and durable! " "The Center Court Duffel is worth every dollar spent. Loved them as giveaways. " Front and center on the tennis courts or in the gym!